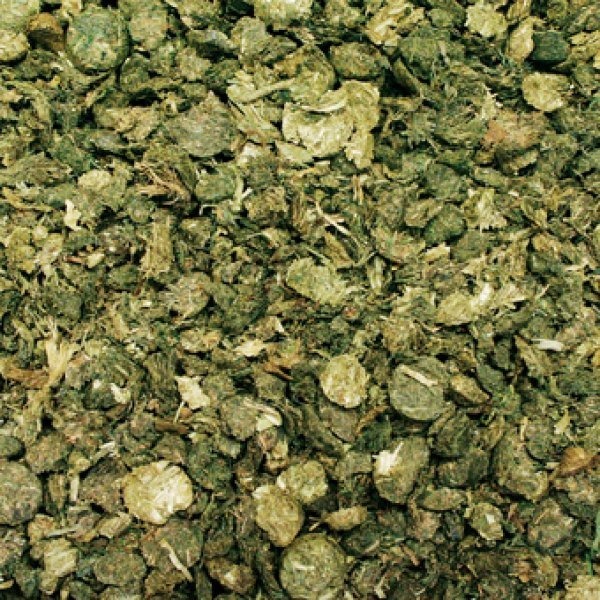 For this, roughage products provide a solid foundation as they satisfy the horse's strong need to chew and offer sufficiently long feeding times. Due to the large quantities required (a 600kg body weight requires approx. 9kg roughage) by a horse each day, it is recognized that roughage products must form the main constituent of each and every horse's diet. To maintain or restore healthy intestinal flora, the micro-organisms found in the large intestine are dependent on the flow of high quality fiber in sufficient amounts. In the event of a continued lack of high-fiber roughage, this can have far-reaching consequences on the horse's health (e.g. destruction of intestinal flora, colic, stool water, emaciation). The use of contaminated or over-ripe roughage, as well as excessive grain feeding, not only leads to considerable digestion problems, but also presents a strain on the horse's entire body. 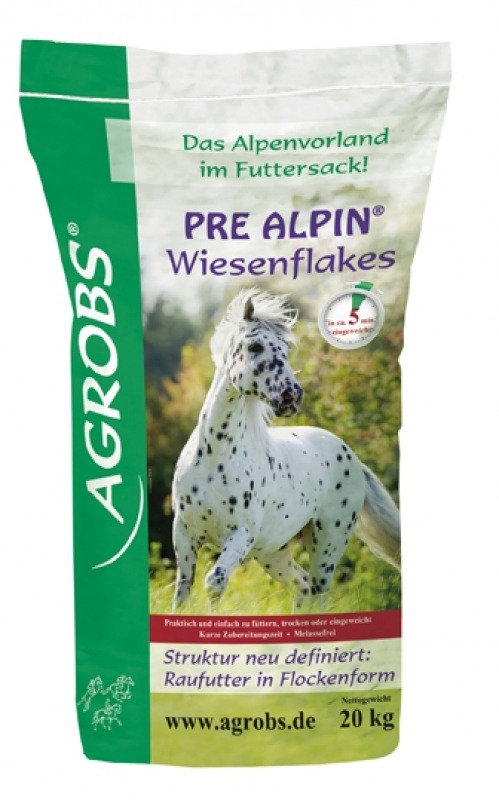 PRE ALPIN Wiesenflakes is a special product from Agrobs; an easy-feeding, high quality roughage product made by an innovative production process. PRE ALPIN Wiesenflakes is an ideal substitute to hay. 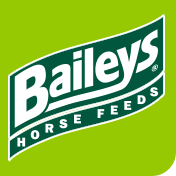 The flake-like dosage form enables an uncomplicated feeding as an additive to the regular daily portion of basic feed or mixed in with existing trough feed. Trough feed will become more structured and the horse's daily high quality fiber intake will increase. Through careful processing, PRE ALPIN Wiesenflakes, as all Pre Alpin products, is rich in nutrients and vital substances. 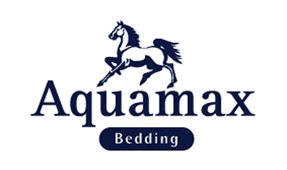 It is also free from dust and mold spores and offers a high-grade and clean alternative to hay or silage. Perfect for horses with hay dust allergies, PRE ALPIN Wiesenflakes provides an ideal source of roughage.